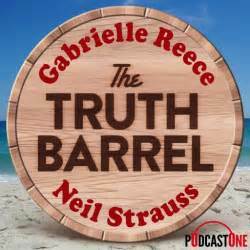 HuffPost LA spoke with Reece on the phone from her home in Kauai, Hawaii, to find out if she still stands by her submissiveness statement, how she got into a scuffle with Katie Couric and why fairy tales aren’t meant to come true. The Huffington Post: Your comments about femininity and submissiveness received quite a bit of media attention when the book came out last month. Were you prepared for that reaction? 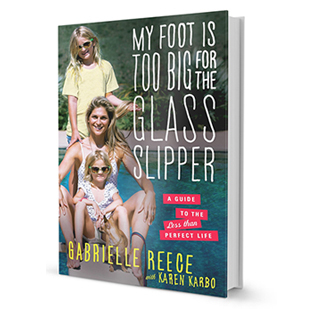 Gabrielle Reece: Exactly a week before the book came out, NBC sent a group from Rock Center and Kate Snow and this really very cool female producer came out to see me. And I thought to myself, “Great! I’m being set up with people who are going to get me.” We spent a couple of days together, but when we sat down to do the interview, I picked up on it right away. I thought, “Uh-oh.” And I said to the producer, “I’m going to get killed on this.” I could just tell. But, of course, they have to do their job. They said a lot of feminists are going to be angry. I mean they found their hook. The submissiveness comment felt out of context? Correct. We weren’t discussing mutual respect and all the other things I said about it. It was good in one way, because it got a lot of attention. It was bad in another way because I felt it was an incomplete message.